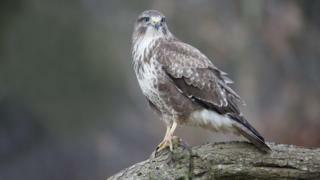 Police are investigating the discovery of a dead buzzard in South Lanarkshire. A member of the public found the dead bird of prey in the Millcroft area of Strathaven last Friday. Specialist wildlife crime officers are attempting to establish how the bird died, and whether any crime has been committed. Buzzards are scavengers which feed mainly on the remains of dead animals, making them particularly vulnerable to the illegal use of poisonous bait. A post-mortem examination and toxicology tests will be carried out on the bird to determine its cause of death.